Biznet-ca.com is tracked by us since September, 2013. Over the time it has been ranked as high as 155 999 in the world, while most of its traffic comes from India, where it reached as high as 14 724 position. Africanfts.biznet-ca.com receives less than 1% of its total traffic. All this time it was owned by This Domain for Sale Worldwide 339-222-5132 of BUYDOMAINS.COM, it was hosted by Hetzner Online GmbH, The Endurance International Group Inc. and others. While PDR LTD. D/B/A PUBLICDOMAINREGISTRY.COM was its first registrar, now it is moved to PDR Ltd. d/b/a PublicDomainRegistry.com. Africanfts.biznet-ca has the lowest Google pagerank and bad results in terms of Yandex topical citation index. 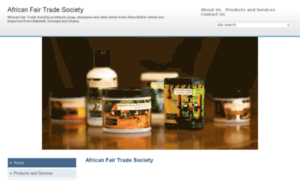 We found that Africanfts.biznet-ca.com is poorly ‘socialized’ in respect to any social network. According to Siteadvisor and Google safe browsing analytics, Africanfts.biznet-ca.com is quite a safe domain with no visitor reviews. Biznet-ca.com gets 64.6% of its traffic from India where it is ranked #175586. Africanfts.biznet-ca.com has no subdomains with considerable traffic. Africanfts.biznet-ca.com is not yet effective in its SEO tactics: it has Google PR 0. It may also be penalized or lacking valuable inbound links. Africanfts.biznet-ca.com domain is owned by This Domain For Sale Worldwide 339-222-5132 Buydomains.com and its registration expires in 9 months. Africanfts.biznet-ca.com is hosted by The Endurance International Group, Inc.
Safety status of Africanfts.biznet-ca.com is described as follows: Google Safe Browsing reports its status as safe.